Companies everywhere seem to be doing more with less these days. You might want your plant or office to have a bright, welcoming holiday light display, but can’t spare employees’ time to set it up. What to do? Why not allow GMS to create a festive, glittering array for you? We offer complete holiday lighting display service for companies of all sizes. We’ll purchase the lights and decorations, set them up where you direct, take them down after the holidays, and store the items for reuse next season. We offer a large selection of designs, all done with energy-efficient LED lights. If your goal is projecting holiday cheer to customers and passersby, you’ll find the solution in our choices of wreaths, bows and other decorations. Unsure how to best light up your property? Choose from roofline lighting, tree lighting, pillar lighting, rope lighting, icicle lights or floodlights. Did we mention that we do all the work - from set-up, to takedown, to storage? If you’d like a no-obligation quote, just click here. If you’d like a beautiful lighting display that makes you and your employees proud, trust the know-how and experience of GMS to bring holiday cheer to your office. 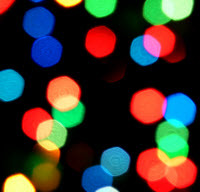 Call or click to receive a quote for holiday lighting for your business or company office.